At a recent gathering of Christians, one of the guys noticed I have a half sleeve tattoo. The look on his face was shock bordering on judgment. “Why would you do that?” he said. I couldn’t help but notice he held in his hand a $4 drink from Starbucks, was wearing $100 jeans, and was a bit overweight. “We all make choices based on what we do or don’t value,” I said with a smile. “Yeah, but, Christians shouldn’t value what the world values” was his curt reply. I thought about going nose-to-nose with him and upping the debate by saying something terse about his over-priced coffee and jeans (a potential reflection of worldly values) and his over-stocked gut (a bit of a blemish), but I decided it was best just to walk away. For the record, my tattoos are not demonic. There’s no skull and crossbones. No naked women. I don’t have a tattoo with an old girlfriend’s name. It’s just art—meaningful symbols to me that tell a part of my life story. The more biblically astute usually go next to Paul’s admonition in Romans 12 not to conform to the pattern of this world. And again, I absolutely agree we should not be molded into the shape of the world around us nor to allow the culture to determine our values. However, Paul is specifically addressing a godless system of worldly lusts. The principle here is to avoid allowing our minds to be polluted by a corrupt culture and to be transformed in our minds by Christ. Can an argument be made to include tattoos as a part of a godless culture? Perhaps. But where do we draw the line? Who gets to determine what is godless and what is not? When and where God clearly states something is a sin, like adultery or divisiveness, we must comply. But when the Bible is not explicit, you don’t get to be the judge. Sorry. By the way, the Amish use Romans 12 to make their argument against modern conveniences and cars. How's that Amish thing working for you? So let’s get to the real issue. We Christians, and I do include myself in that we, too often focus on things of personal preference and make them a litmus test of fellowship with others. We tend to judge others by our personal standards to determine the measure of another’s spiritual maturity. We often evaluate by the outward appearance rather than by that which really matters—the heart. You don’t have to like tattoos. My mother wonders why her son and daughter have tats. You don’t have to agree with me about everything. You don’t even have to like me. There are much bigger issues to get fired up over. 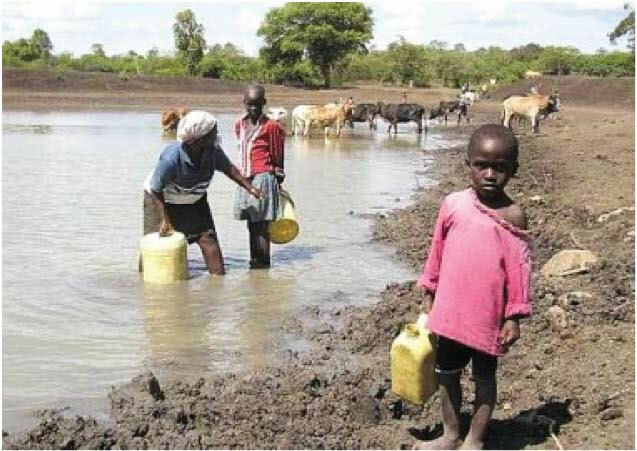 Maybe problems like poverty and homelessness or the fact that 63 million people (1 in 10 on the planet) don’t have access to clean drinking water; perhaps these matters are more important than tattoos. Maybe seeing eye-to-eye about every debatable topic isn’t nearly as important as loving others and treating them the way God has treated you. Perhaps we should focus more on unity than on our diversity. What might happen if we Christians were to demonstrate a profound level of unity to a watching world like that which Jesus prayed for in John 17? Opinions are good. With free will comes the right to choose what matters to you, or doesn’t. Personal preferences are permitted in the Kingdom of God regarding a whole boatload of topics. It’s okay that we don’t see eye-to-eye on everything. That being said, things like love, forbearance, kindness, goodness, and so on, are not optional. 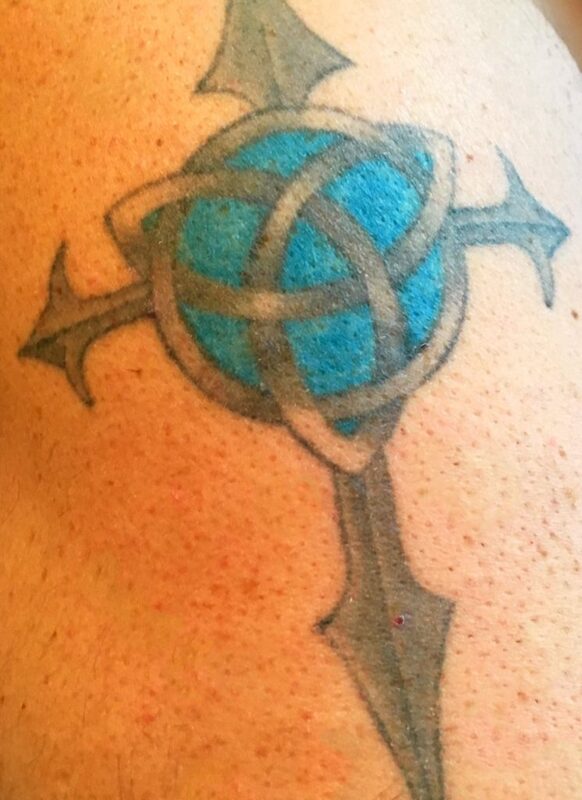 Cross and eternity symbol on my left arm. My half sleeve on the right arm with "Stay the Course" on the front and "Psalm 31" on the inside. 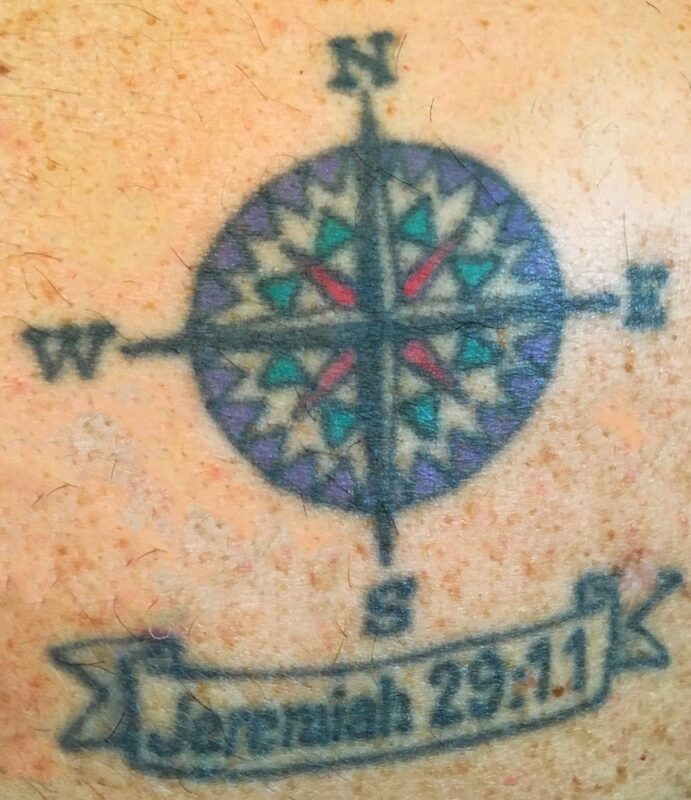 My first tattoo done many years ago on my back shoulder with my life verse. Many people in this life, even other Christians, simply do not share our values. It is really a sad commentary that the pews are full on Sunday and that is the most “Christian” thing they will do this week. I believe that if each of them would simply do 1 Godly thing this week, the world would be a better place. And, you would see revival! OH HEY… BTW… After 3 years of separation and divorce Sheri and I have reconciled our marriage. We are back together. Equally amazing is that she now feels God calling her to go to Guatemala with us to work with La Mision! Wow! Thanks for sharing, Jeff. Love ya man! Kurt – This is a great post. I know lots of people with tats and lots of people who are judgmental about them. You make some very good points and I hope I can remember some of them the next time I hear a condescending remark about someone’s body art (or hair or piercings or clothing for that matter). Thanks, Lois! Wished we lived closed to each other. It would be fun to reconnect. I love that cross/eternity symbol one! Really cool-looking. 🙂 I see no reason to oppose customizing our temporary Earth-suits if we want, but I personally will stick to no more than the no-needle press-on variety! Funny, Kurt, I’ve got a buddy who HATES needles and he would call a tattoo “torture”! Thanks for the post on tattoo’s Kurt. I just got my first tattoo, and it is very meaningful to me. As you know, my youngest son just took his own life, so I got a tattoo to memorialize him and his life/death. There is nothing evil or bad about it, it’s a picture of a broken heart and reads, Never to mend until I see you again RIP my son Dustin. With his birth date and date of his death. I do not see anything wrong with it. I think what’s important about tattoo’s is the meaning behind them. I’ve seen some of the most uplifting tattoo’s that were beautiful. By the way Kurt, I love yours! Thanks for sharing this with us. If it is a sin to get a tattoo, I say let him who is without sin cast the first stone! Shame on the people who judge us. It’s not their place. Thanks, Tammy, still praying for you. It was an honor to be a part of Dustin’s memorial. You are loved. Love it . . . “all equal at the foot of the cross . . .” Love you! I appreciate the perspective Kurt. Although I never really felt horribly convicted about my one little shamrock tat, I have always felt a little twinge of guilt. Your insight helped finally lay that to rest. I never even knew you had any ink. Thanks for sharing – and especially for putting this relatively minor issue into perspective with the TRULY important things. Appreciate the kind words, Bob. Glad it brought some rest. Love you brother. So true, Mike. Love ya man! I think your tattoos are truly classy (and Christian)! Thanks for reminding us that it’s okay for us as Christians to disagree with one another, but it’s not okay to be judgmental. It was sad to see how many negative and mean Facebook comments I got on one blogging site where (apparently) the commenters failed to read the last paragraph. Thanks for the kindness, Martha. I once met a man who had a Mohegan hairstyle. I probably did not spell that correctly. It was enormous and was all the colours of the rainbow. In fact he looked like a thug. However, all of us present were there for a bible study and he led it. He led it very well indeed. I expect however that he encountered difficulty in a lot of churches. Did God accept him? Yes. Did I accept him? You bet I did. When will we Christians figure out NOT to judge by OUR pet peeves. Love matters most. Thanks, George. Couldn’t have said it better myself, Dad! Great post! Thanks, Babe. 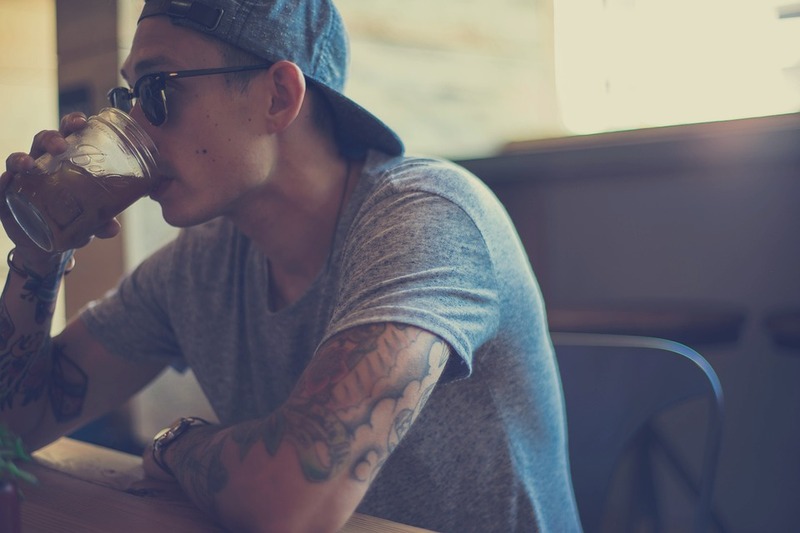 Love you (and your tats!). Thank you Kurt for bringing clarity on a topic I have struggled with for the past several years. I have many tattoos including a leg sleeve. Each piece of art represents one of my children or grandchildren, they love their special ink spot! I also have a tat that represents my life verse, Psalm 41:12. This single tattoo has allowed me to answer hundreds if not thousands of times the question, “what does that, mean?” I have a captive audience and THEY started the conversation!! I highly doubt God is going to judge me negatively for my choice of witnessing tools. Cool how our tats open so many doors to share Jesus! Love you Lisa! I think it’s important that parents inform theirs kids about dangers (too much junkfood, smoking, ,,,as well). I’m glad having found your blog. God bless You. Thank you, Katrin, for adding to the conversation. You are loved. Hi Kurt, thank you for these words. I couldn’t find Lev. 28 …Another important information about tatoos: the ink rest in your body and seems to be very unhealthy – in german TV there was a report about the danger of cancer recently. But I like the main thought of your post! My bad! It should have said Lev. 19:28. Thanks for the correction. It’s possible ink isn’t good for your system, but then again, diet cokes are bad too, and pizza, and . . . lots of things done in excess. Thank you for your input and kindness. 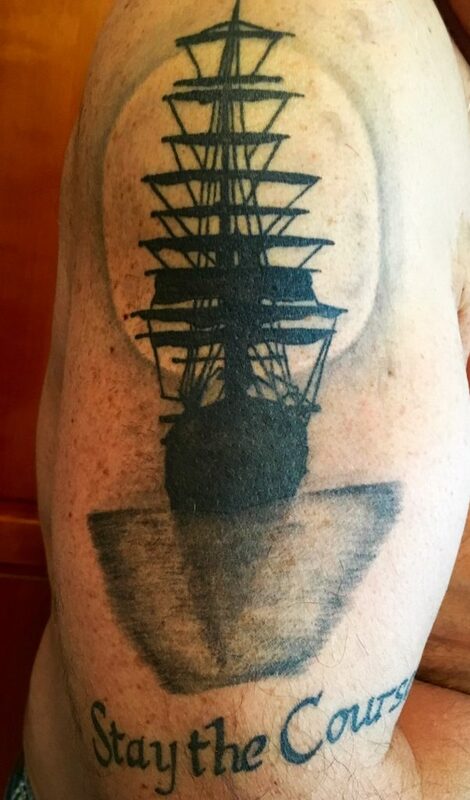 I’m a Christian pastor and spiritual director with a tattoo. I love it, and it tells a story. Thanks for writing this. I think some people just get a tat because they this it’s cool or trendy…for me, it really is about telling my story. Thanks for sharing a bit of yours, Larissa. Funny (but not) how quickly we forget the fruits while holding on to our “rights” or opinions. Thank you Sam for the kind words. I do think that needles and ink weren’t meant to be imbedded in our skin. Funny how heroin use is up and so are the number of tattoos people are getting today. When I was growing up I only ever saw a few on some old guys.Styles change and what people think is cool and relevant changes. It’s kind of hard to change tatoo isn’t it? Certainly want to make sure you like what you put on your body! Great article and appropriate for our time for sure. I don’t have any tattoos, but I like to use Rev 19:16 when confronted with the tattoo question. Furthermore, if you use the Lev arguement, and you accept the fact that Jesus did indeed allow himself to be whipped and hung on the cross, (he could have called 10000 angels) one could argue what He did was in fact wrong. But the point is in fact that, that passage was clearly addressing Pagan rituals. Thanks, Cary. Good point from Rev. 19. Love you brother! Thanks Kurt. So well put, as always. While I tend to agree with Mom, that is only my OPINION. BTW, how did the tattoo artists respond to your tats? Just wondering. As I am nosy AND opinionated. Well said, Kurt. It’s the Matthew 7:3 syndrome. We all could use reading that every single day. Thanks for your words of wisdom. Thanks, Vicki, love and miss you guys! Hope you’re enjoying Colorado. Thanks for this Kurt. Maybe now I get up the nerve to get the one I want on my foot. Ouch though. Yes, there are some “more sensitive spots” (the inside of my arm was one of them! ).